Using the best mini stepper can offer a great workout without taking up a lot of space in your home. 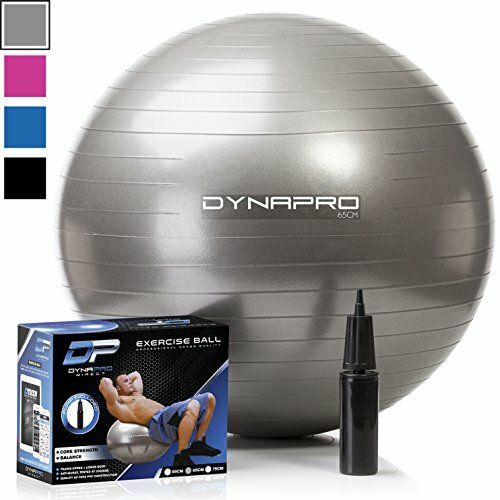 A mini stepper machine can also come with a lot of additional options that can make your workout unique. While mini steppers have been around for a long time it is only recently they have become more popular as people have realized that they can be used while sitting – some models, anyway – and you can still burn calories while sitting at a desk at work. The only question is; which one is best for you? That’s where this guide is going to help you out. Here is a feature overview of my 3 top rated mini steppers. Our guide to steppers will help you choose the right one for you. The Xiser Commercial Mini Stairmaster is great for High Intensity Training, or HIT, and that makes it perfect for training for the fitness trends like CrossFit and Tabata. HIT aerobics should not be your entire fitness regimen but this mini stepper will help you incorporate the HIT you need into your workout. You can help fight depression by working out regularly. You can also strengthen your immune system and reduce stress. Using the mini stepper can even help you get a better night’s sleep and make sure you are getting proper sleep hygiene. In fact, regular use of a stepper exercise machine such as this can improve memory, posture, and metabolism as well as improve your physical and mental health. I found that when I really pushed this machine, it was able to keep up with me and I felt completely stable on it. You’re meant to go fast, and do that high intensity training so you get your heart pumping and that is exactly what I was able to do. The textured grips on the steps really helped my trainers grip so I didn’t feel as if I was going to slide off while I was pushing the speed. This mini stepper may not look like much but it is a quality-made piece of machinery that is made in the USA. I think the Xiser is the best stepper exercise machine. Even with the twisting action included in this mini stepper that helps to tone the glutes and thighs, you are still getting a low impact workout that doesn’t put added stress on your bones and joints. You can turn up the resistance to really give your workout an impact or as you become stronger and more toned and need that added tension. The mini stair stepper is safe with a slip resistant surface on oversized footplates. It is built with heavy duty materials so you know it can handle a hard workout and will last you a long time. The built in LCD display shows total steps, total time, and calories burned. It has a weight capacity of 250 pounds. I enjoyed the twisting motions of this mini stepper. I felt like I was really getting a deep workout into my thighs and glutes and because of the heavy duty construction I really pushed the machine with tension and speed and didn’t feel like I was unsteady or like the machine was in any way unsteady either. 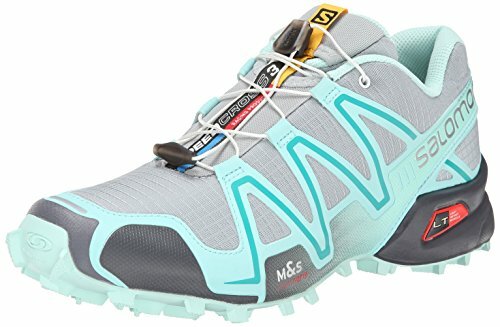 Once again, with the oversized footplates, I liked that I could narrow or widen my stance and work different muscle groups, and with the slip resistant surface I felt steady on them. I would say this is the best portable stepper. The Stamina In-Motion is another mini stepper that can be used either sitting or standing. Of course, if you use it standing you burn a lot more calories, and I found that I did so quite easily by adjusting the tension knob. Even with the tension quite high it was very quiet so I was able to listen to my music at my desk and I was able to hear the TV. I tried it while standing at the TV with the tension up and it was still fairly quiet. The monitor screen tracks your progress so you can keep an eye on how well you are doing with your workout. While it didn’t track everything that the Sunny machine did, it still did a very good job at giving me the information I needed. I loved the fact that I could pedal either forward or backward on this machine. When going in reverse, you use different muscle groups and I definitely felt that when I used this feature. Video: See the Stamina mini stepper/elliptical in action. Oh, and it also comes in three different colors! You can get it in the traditional black, or you can choose lime green or bright orange. Show off your personality and make it fun to work out! This compact mini stair stepper fits perfectly anywhere in your home. You can even stash it in a corner or in a closet when you’re not using it so you can keep it out of sight should you have guests over or something like that. Even though it is small, it is made of heavy duty steel. You will get a low-impact workout on a small machine that has oversized footplates. I loved that I could use those extra big footplates to widen my stance just a bit and use different muscle groups. I was also able to dial up the resistance with this machine which is surprising given how compact it is. This mini stepper machine also has an LCD display that will show you your total step count, the time you have been working out, and the number of calories you have burned. This machine is a little different than others on this list because it is a “swivel” mini stepper. It gives a little bit of a different movement when you step, so it targets different muscle groups than traditional mini steppers. You will target your glutes and tone your thighs, strengthen your legs, and get a great cardio workout all in one. I would rate the FP1 as the best mini stepper machine under $100. With the Stamina Spacemate Folding Stepper you get all the benefits of a larger machine, but you don’t have to have the room in your home to keep it out in the open because it folds and wheels away nicely to anyplace you’d like to tuck it. I actually placed mine behind a bathroom door and while the bathroom door was open, no one could even see it. It was great! 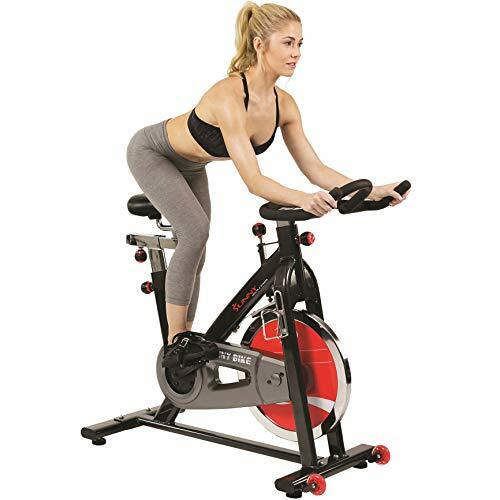 Because it is a larger step exercise machine, when using it you are getting the benefits of a larger machine, including a more intense workout of your: glutes, hips, and thighs. You’re also getting a strong cardiovascular workout and an all over muscular workout as well. There are two adjustable hydraulic cylinders that give a smooth pumping action. They are nearly silent while using the machine. Using the Spacemate home stepper made me feel like I was using a piece of fitness equipment at a gym and I wasn’t! I was at home, in my living room, and afterwards, the machine wasn’t in my living room anymore. And what’s best, I didn’t have to drive to a gym or even pay a gym membership fee. Video: Overview of the Stamina Spacemate Folding Stepper. The handlebars are rubber coated so they were really comfortable and they didn’t allow for my hands to slip when I started really pushing the machine to its limits and I was sweating hard. Because this is a bulkier piece of equipment, it is a little harder to maneuver around the house if you want to move it. It also makes you feel like you are using a real piece of fitness equipment and you can also push it harder as it is more durable and made to be used a bit more. The Spacemate is the best home stepper you can buy. The great thing about this jfit portable stepper is that you can use it sitting down with it under a desk – comfortably – or you can use it standing up because you can adjust the angle at which the pedals sit. I tried it both ways and was pleasantly surprised as to how easy it was to use both ways and also as to how easy it was to switch from one to the other. 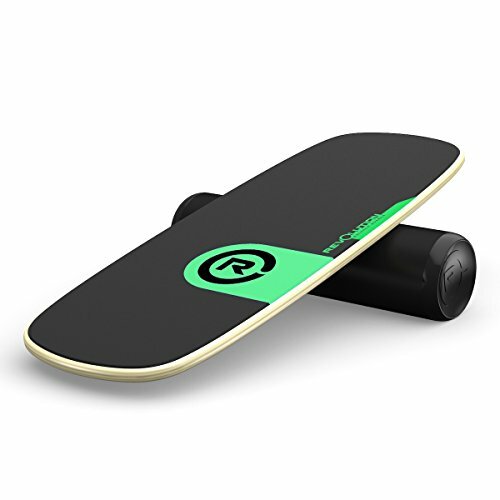 Its easy to move around since it has handles to carry it from one place to another, and if you have to slide it out from under the desk, it has wheels! How awesome is that! You can burn up to 300 calories just by sitting down at a desk, or even on your couch while watching TV or talking on the phone. I don’t think I’ve ever burned 300 calories so easily in my life, and that is really, really amazing! Kettler Home Exercise knows that it is important to get your exercise in every day to improve not only your cardiovascular health but also your muscular health as well. They are completely linked and using the Montana Stair Stepper helps with both at the same time. 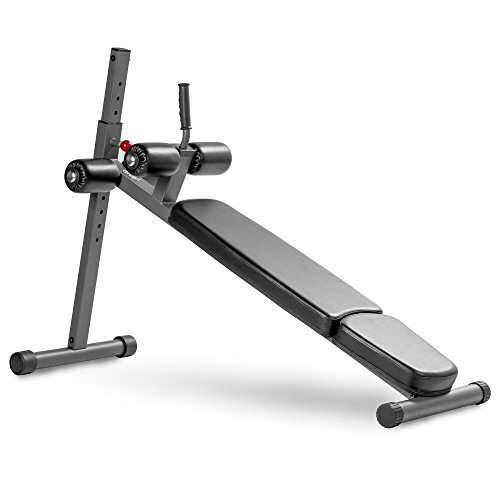 The Montana step exercise machine has hydraulic pistons that can be adjusted for different resistance based on weight and also what type of workout you are looking for. The handlebars are ergonomically shaped and the rubber surface was easy to grip even once I started sweating during my workout. This stepper machine also has textured footplates so you will feel steady on them, as did I, even though I was pushing the weight limit of the machine. The weight capacity is 250 pounds and I’m around 240, but I still felt steady on it nonetheless. The feature I really loved about this particular mini stepper was the LCD display. It didn’t just display the usual stats such as the time you’ve been working out, the steps you are taking per minute or hour, and the total steps taken – which it did. It also displayed the amount of energy I had used, the height I had climbed, the room temperature, as well as my heart rate. All of that information can be invaluable if you are tracking your fitness goals over time. Overall I would rate the Montana as the best step exercise machine. What Kind of Workout Can You Get from a Mini Stepper? What Types of Mini Steppers Are There? A mini stepper can offer a great workout without taking up a lot of space in your home. 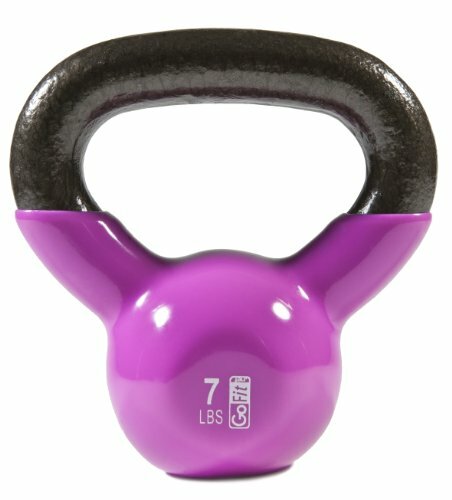 It can also come with a lot of additional options that can make your workout unique depending on the one you choose. You can switch up your routine each time, build up your resistance so that you become stronger and more toned while losing more weight. 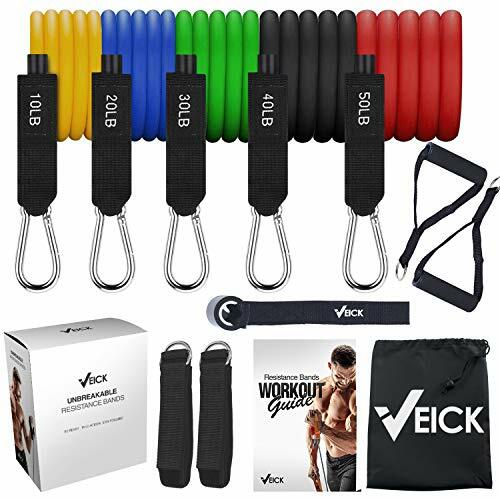 By purchasing additional items to tailor your mini stepper experience to your needs such as using resistance bands or kettle bells if your initial purchase becomes too “simple” of a workout for you. Mini stair steppers have been around for a long time but they’ve recently become more popular as people have realized that they can be used while sitting – some models, anyway – and you can still burn calories while sitting at a desk at work. This has made the sedentary lifestyle that many are forced to live when they work a “desk job” a little easier to handle, especially when it gets a little tiresome just sitting there all day and your feet have literally nothing to do. Why not burn a few calories instead? Of course, you do burn more and get more out of a workout if you use the stepper standing up, so on your breaks, you just pull it out from under your desk and spend 5 or 10 minutes getting in a real workout. It’s as easy as that. But you don’t just have to use a stepper exercise machine at work. With as small and portable as these machines are, they are easy to keep at home and use in front of the TV while watching your favorite program. Before you know it, you have a half hour or an hour of a workout in and you have burned calories and gone a long way toward toning muscle and improving your overall health. The following is a guide as to what you should look for when purchasing a mini stepper. I followed this guide myself when looking for ones to review for you and I came up with 7 really great ones you see above. I think that in this list, you will find one that will fit your needs perfectly. A mini stepper is meant to mimic the effects of climbing stairs. We all know that taking the stairs instead of the elevator is a lot better for us, so why not just climb stairs when you’re at home or at the office, right? Depending on how fast you go and what resistance you choose on your machine (if your machine has this option) you can expect different results. A slower pace with tighter resistance will build muscle strength, while lower resistance but a faster pace will give you more of a cardio exercise. It’s important to vary your workout, if you can, from day to day so that you get a variety of results. You may even want to try interval training where you do short bursts of speed and then slow for a few minutes and then go really fast again. It is recommended by the Department of Health and Human Services that everyone get at least 30 minutes of moderate cardiovascular exercise every day and a mini stepper will definitely help you do that. It’s perfect for helping you get this exercise in if you live in an area where you may not be able to get this exercise outside, such as where it snows, gets windy, or rains a lot. Or, you may just want to invest in one mini stair stepper and use it often in your home rather than pay a membership fee to a gym every month to use only a few machines. Plus, let’s face it, you’re more apt to come up with an excuse to not go to the gym if you have to drive there! There are three types of steppers. Traditional Steppers – that just go up and down and mimic the stair climbing action pretty closely. 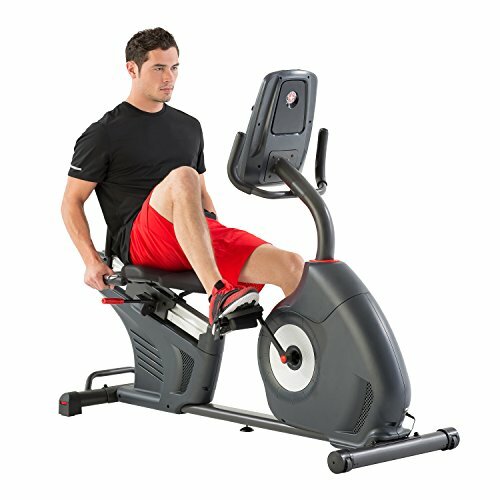 Elliptical Steppers – that have more of a circular motion, much like you would find on a full elliptical machine that has the arm movements and the full rotation of the legs, except here you are only doing a slight rotation of your feet in a stepping motion and there is no arm movement involved. Mini Elliptical Steppers – that give more of the rotation but are still smaller than a real elliptical machine because you are only using your feet. The type you choose for yourself really depends on a few factors. If you don’t have much balance, you may want to stick with the standard, up and down motion of a regular mini stepper. This type of stepper is also perfect for those who want to do other exercises with their hands, such as use dumbbells, while using the stepper since you won’t have to concentrate so much on your balance with your feet. The elliptical steppers and mini ellipticals are great for people who may use them either sitting or standing, or will only be using the machine itself while standing. If you don’t have much coordination or have poor balance, this type of machine can be a little tough to get used to at first, and I had to set mine near a wall to set my hand against it for balance until I got the hang of it. After I did, however, I was good to go and it didn’t take much time to get used to. I was able to jump right on it and go after that. 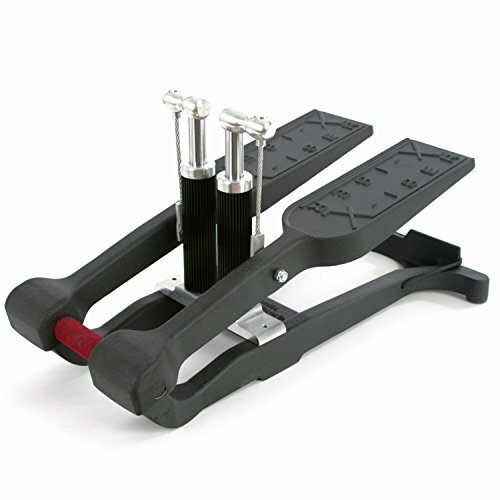 There are several optional features that you may find available as you look at different models of mini steppers. Some of them may be important to you as you look through them and others you may not need. Make sure that you know what features you absolutely need in your new mini stepper so that you don’t compromise when choosing the right step exercise machine for you. When I was trying out the mini stepper that had the handlebars I found them quite helpful at first. But then I found I wasn’t using them. You may always want them there. Or, perhaps you may absolutely need if you have a problem with balance and you need something to hold onto. Some mini steppers feature handlebars that can be removed and reattached. If you want to adjust your workout yourself by just how fast you go, you can always do that. However, if you want to add resistance to your workout so that you can tone your muscles and lose weight even quicker, plus increase your cardio workout efficiency, you will want to be able to adjust the tension on your mini stair stepper. Some stepper machines have dials that you turn to adjust the tension so it’s already built in and others have bands that you have to add yourself to be able to add or remove tension. Either way, if this is something you want or need, be sure the machine you choose has this feature. Not all machines have them, but if you want to be able to track your progress through steps taken, distance traveled, calories burned, or other important stats, you should look for a machine that has a digital display that will tell you these things. Some only record for the session you are in, and others will remember multiple sessions so you can track your progress over time. Size is a factor either due to the fact that you will be placing it under your desk at work or at home, you don’t have much space in your home, or you want to easily move it around your home, then look at both the dimensions of the machine as well handles to make it easy to transport. You also want to look at what the machine is made out of. You want it to be durable but also lightweight. The structure of the mini stepper should be made of solid materials such as aluminum, but parts that aren’t as critical can be made of lightweight but durable plastic to reduce weight. Not all fitness machines are created equal when it comes to how noisy they are. Some are very quiet and some are loud. If you want to use this at work, you need something quiet so you don’t disturb your coworkers. You will also want something quiet if you are going to want to watch TV or listen to music while using your mini stepper. 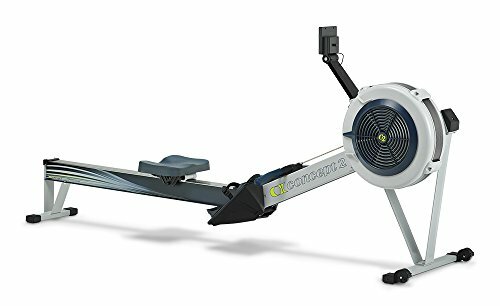 An important factor for some people when deciding to purchase any piece of fitness equipment – whether it is a small piece like a mini stepper or something larger – is the price point. Make sure that you are getting the features that you need within the budget that you set for yourself, and if you can add in a few features that you’d like to have and still stay within your budget then that’s all the better! I hope this guide was helpful for finding the best mini stepper to fit your needs. If you want to comment or recommend a stepper I didn’t include, please use my contact form to get in touch. 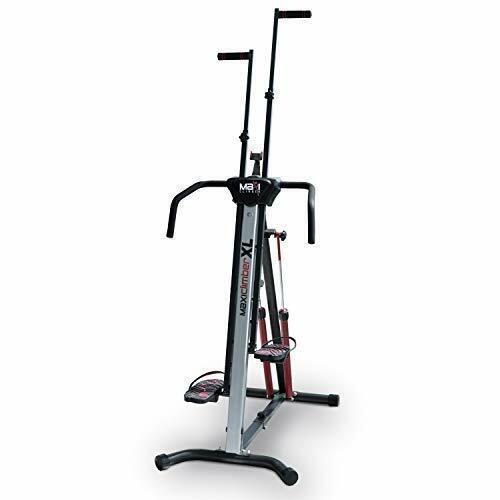 We liked the Xiser Commercial Mini Stairmaster the best for its quality design and ease of use.